So Many Stamps So Little Time: My Favorite Things Sketch Challenge 214 - You Make Life Sweeter! 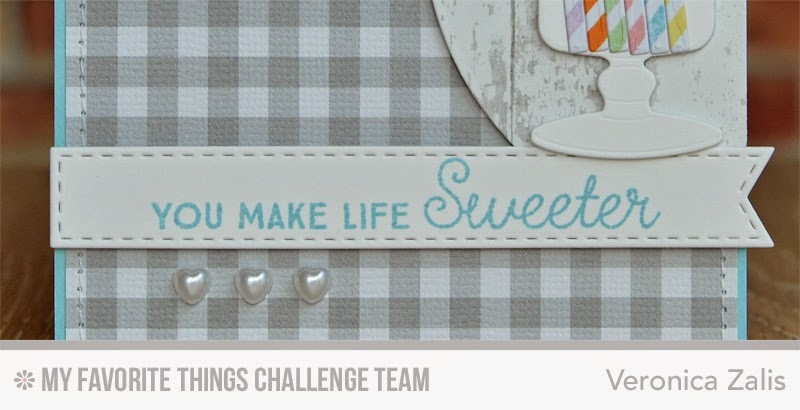 My Favorite Things Sketch Challenge 214 - You Make Life Sweeter! Do you LOVE the brand new MFT February release?! I was giddy with excitement when I saw the adorable candy jar and donut stamp sets with coordinating dies! Eeeek! Be sure to visit the MFT Challenge Blog to see what the full card and the amazing cards of the rest of the design team! Love this one! I need to break out my candy dies! what a sweet card! Love the candy sticks!